Every year Eastwood High School hosts an Open Evening for P7 pupils to give you the opportunity to see the school, the facilities and see some of our young people working in classes. Wednesday 22nd November 2017 in the Atrium of the Main Building. It is important that everyone is in the Atrium by 6.45 pm sharp as Mr Maxwell, the Head Teacher, will address parents at 7.00 pm. Thereafter, tours of the departments will commence, which follow a very tight schedule, so timing is crucial. This year the tours will allow you to visit every department in the school. Tea, coffee and juice will be served at some point on your tour. This will be in the café area on the ground floor. If you wish any further details about this Open Evening, please contact the school on the above number or by email. We look forward to seeing you on 22nd November. Please find below the details of which clubs are operating the week beginning the 6th November 2017. Please click on the link below to access our most recent newsletter. We are writing to let you know about a survey currently being run for the Scottish Government, and inviting you to take part in it by clicking on the link below. The survey asks about people’s use of and views on early learning and childcare including nurseries, childminders, playgroups, or family centres. The Scottish Government plans to increase the hours of free early learning and childcare available to 3 and 4 year olds, and some 2 year olds (further details can be found at www.earlylearningandchildcare.scot). This will be a really significant change for children (and their parents and carers), and to help plan for this the Scottish Government is interested in hearing the views of households with children aged 0-5. 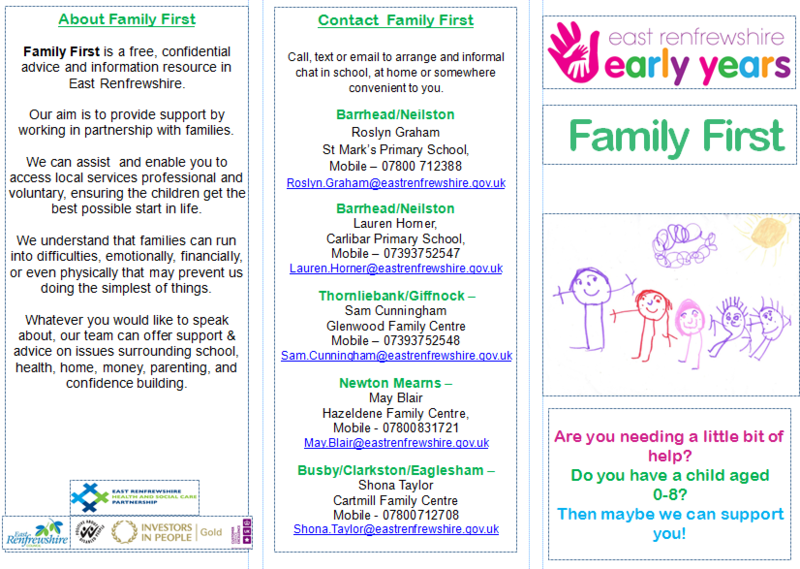 This includes parents or carers who do not currently use early learning and childcare. You can complete the survey online at www.bit.ly/elc-survey. Everyone taking part has the option to be entered into a draw to win one of 10 x £100 cash prizes. The survey is voluntary, but your responses will help the Scottish Government plan for the increase in free early learning and childcare. If you feel that you are not the right person in your household to take part, you can pass this letter on to someone else. If you know of anyone else who might be interested in the survey, or if for example you are a member of a relevant Facebook group, please also feel free to pass on the link to the survey. The survey is strictly confidential. The Scottish Government have asked Craigforth (independent researchers) to run the survey, and no-one outside Craigforth will know who has taken part or have access to individual responses. Reporting of survey results will also make sure that no-one taking part can be identified. If you would like to talk to someone about the survey, or if you would prefer to complete the survey by phone, you can contact Chris Thornton or Louise Blair at Craigforth on Freephone 0800 027 2245 or email survey@craigforth.co.uk. 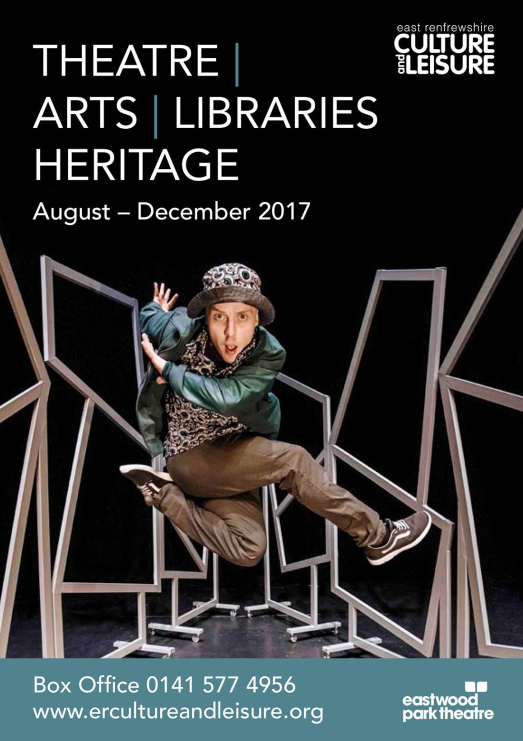 East Renfrewshire Culture and Leisure, August – December 17 culture programme is now available for booking. To view all of our activities, please click on the image below. Please click on the link below to access our latest newsletter. As you will be aware, this year’s School Concert will take place on Thursday 15th June 2017; with performances at 2pm and 7pm. The theme for the performance is ‘A Night at the Movies’. Each class in P6 and 7 will perform a section based on a famous film and we would appreciate if you could support us by providing a costume for your child. The classes have discussed the costumes they require with their teacher and the table below should act as a reminder. N.B – a number of pupils have parts within their class sections which require different costumes– pupils will have discussed this with their teachers. Pupils have discussed roles and costumes with class teacher. Choir Boys to wear shorts, not denim or obvious football types, with a self coloured, non logo t-shirt. braces and long socks optional. Girls could wear flared skirts with a blouse or t-shirt. Could be self- coloured or patterned/flowery with ankle socks. Could all items for the show be clearly labelled and placed in a labelled carrier bag. Costumes should be in school by Friday 9th June. Please note that Mearns Primary PTA are no longer promoting one company for uniforms but purely as a service to parents, we are providing details and links to a number of companies where logo’d uniforms can be purchased. We are also holding a uniform evening in June at the school which some of these companies will be invited along to and parents will be able to see what is available and purchase uniforms for the nursery and school. The PTA will get a %age from some companies on Mearns Primary Uniform sales as a good will gesture for us promoting them. Join us on Tuesday 13 June 2017 from 6pm – 8pm for our first Uniform Evening of the year. Come along and purchase logo’d uniforms from local companies all under the one roof and take the stress out of the madness surrounding your children going back to school.